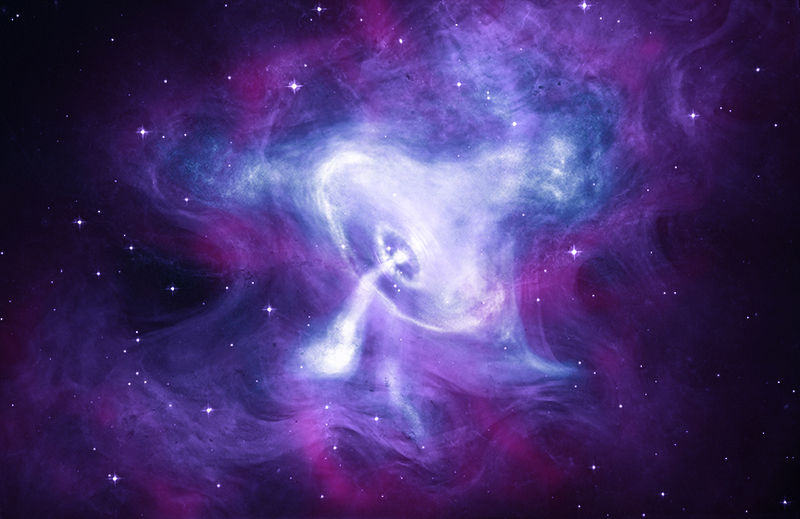 A new composite of the Crab Nebula with Chandra (blue and white), Hubble (purple), and Spitzer (pink) data has been released. The star that exploded to create the Crab Nebula was reportedly first seen from Earth in 1054 A.D. Since its launch in 1999, Chandra has frequently observed the Crab. 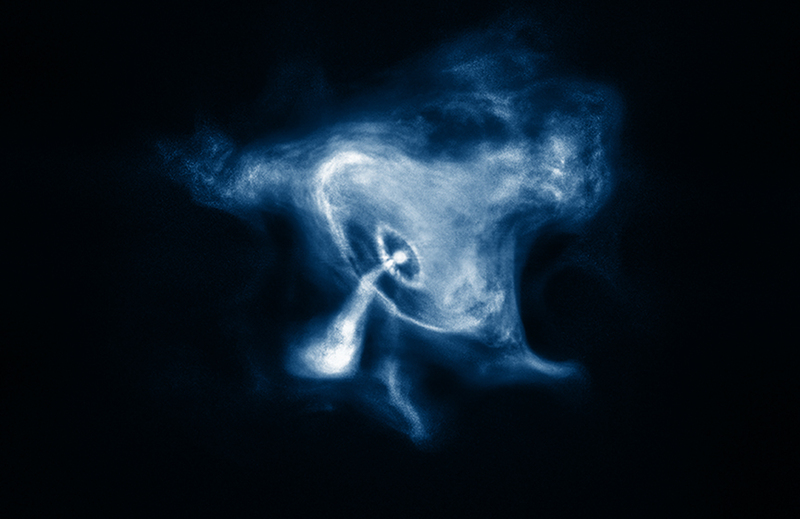 X-ray observations have helped astronomers better understand this spectacular object. Coordinates (J2000) RA 05h 34m 32s | Dec +22° 0.0' 52.00"
Humanity is So Gifted and rewarded, by such images. I saw this beautiful image and video. It is incredible strange and nice to see over such a distance, and yet so close in our own milky way. What an awesome, beautiful image. Thank you so much. A supernova remnant powered by a pulsar. About 6,500 light years from Earth. Combines X-rays from Chandra X-ray Observatory, optical light from Hubble, and infrared light from Spitzer. About 5 arcminutes (10 light years) across. X-rays are blue and white, optical is purple, and infrared is pink. In the constellation Taurus, the bull.